MandM Direct has launched a Big Brand Footwear Event with up to 75% off big brands that include the likes of UGG, New Balance, Timberland, and Adidas. It’s a great time to snap up a huge reduction on your favourite footwear. 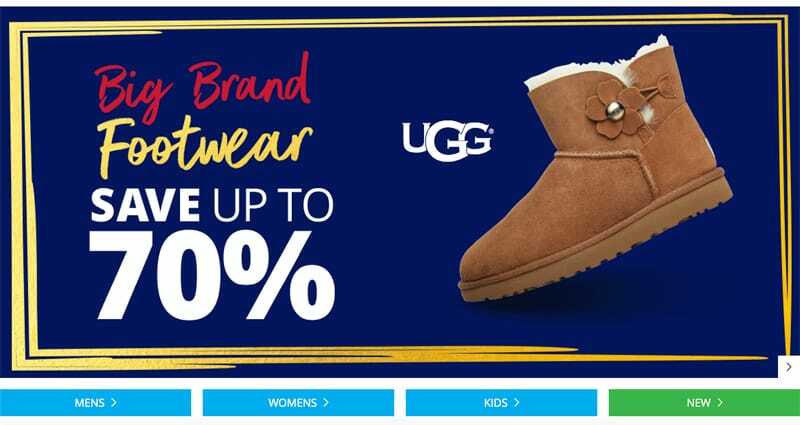 There’s over 3,000 styles to choose from with some really good deals in the MandM Direct Big Brand Footwear event, over 740 items are for boys and girls too! There’s £90 off UGGs and £50 off Adidas Originals at the time of publication, take a look and see what trainers, boots and shoe bargains you can find.